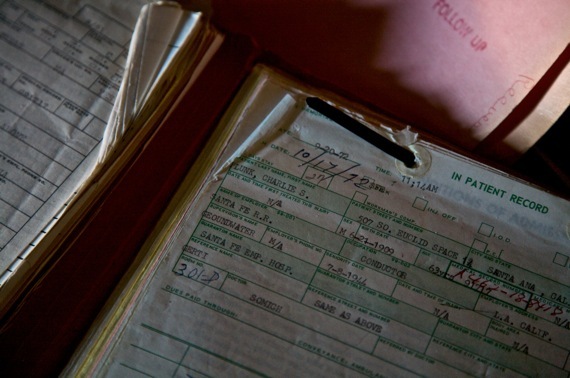 Typically, a patient's record is just a folder with his details and probably a photograph on the front cover, coupled with sheets and sheets of data recording his previous visits. While some of this data, especially prescriptions may be recorded in a hospital, can you imagine the long hard search that one endures to locate them when required. 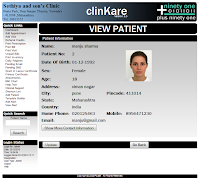 Also, this search by no means guarantees a consolidated view of a patient's information which would equip the doctor with a complete overview of the patient's health history. There is a serious need for a system in place which can ensure this Information be available Timely, Efficiently and Sensibly. 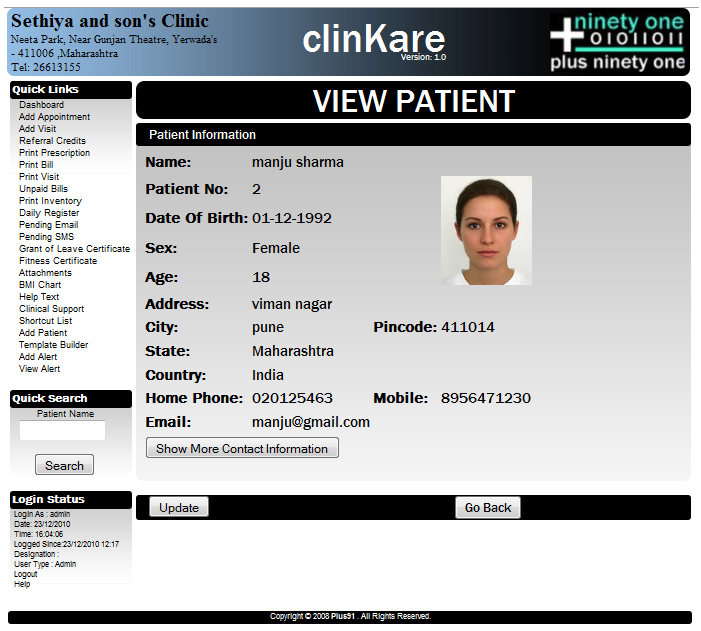 All of a Patient’s information must be available at a single point of contact. An Electronic Medical Record or EMR is a secure electronic file of patient history, medical transcription notes, billing information, and all other information necessary to have a complete patient profile. EMR's, or computer-based medical records of patients, have already gained importance in the western world with governments taking up initiatives to implement them across each nation. However, in Asia, esp. in countries like India and China, there is a long way to go before the benefits that are available to the entire Health Ecosystem by EMRs can be realized. In reality, here EMRs and other Health Softwares are still considered an undesired luxury. Many physicians tend to drag along the process of migrating to EMR's because of the cumbersome training, additional equipment, change in mindset and lack of immediate financial gains involved with the shift. While it is true that the EMR systems are indicative of a faster-paced informational age in which larger quantities of information warrant a more effective IT infrastructure (primarily faster machines, better software and efficient databases) , there are many benefits to both the medical service provider and the consumer which still make their need viable in today's times. Prospective users must be sufficiently informed and educated to help them gauge these benefits for themselves. 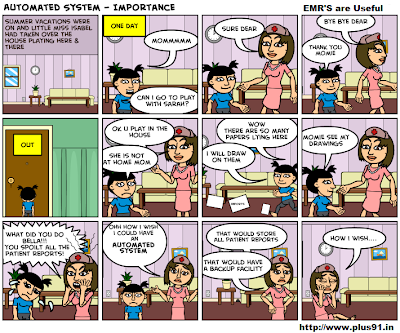 Selling EMR packages should not be the goal but a by-product for EMR Vendors and Consultants here. Software Vendors should be willing to invest time and effort to educate the doctors, patients and clinical staff of the benefits to them which will follow an EMR implementation. Also, vendors must don a consultant hat and sell the appropriate package which would be the right fit. It is encouraging for the future that EMR vendors in developing nations have started providing the equipment, training and continued customer support that doctors need to make EMRs successful in their practices. Further, like any other technology or practice, EMR will not gain a foothold unless there are sufficient incentives in a national healthcare system.The years ahead will be exciting as a number of developing countries such as India and Brazil seem to be slowly showing inclinations in enforcing IT in healthcare. The new NABL guidelines and the in-process ART Bill in India seem to be steps in the right direction, even if they have their detractors. Similarly, the systems must be able to handle the pressures of the existing infrastructure. While a purely online EMR sounds wonderful, intelligent offline availability of these EMRs is critical (especially in India) where where internet availability is not reliable, and internet adoption (especially amongst senior citizens) is not that high. Offline availability can be enabled through smarter software designs, as well as storage devices such as CDs, USB drives, etc. It is important that the offline usage scenario has the same user-friendly search and retrieval capability as an online usage would provide. Electronic Medical Records can deliver numerous benefits to the various stakeholders in the healthcare process. Lets summarize a few: Over the course of this series we will delve into these and many more. 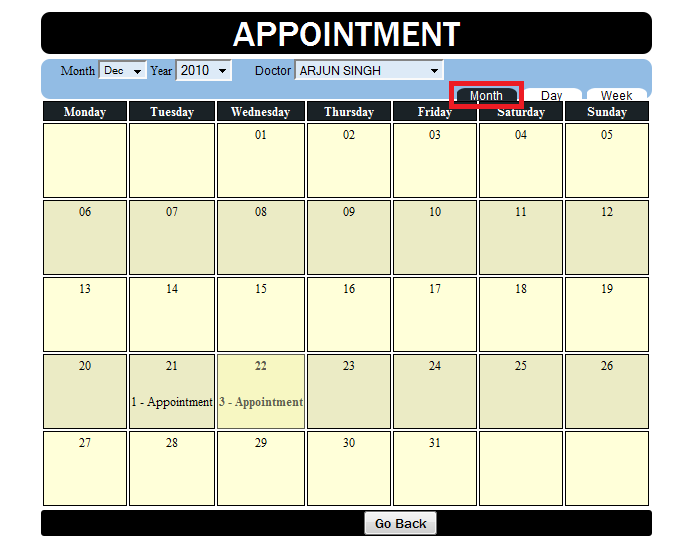 EMR's simplify the management of the patient medical history across multiple doctors, hospitals and other facilities. They also enable quick access and retrieval in case of an emergency. They reduce the risk of loss of valuable heath data, bills, prescriptions and insurance details. 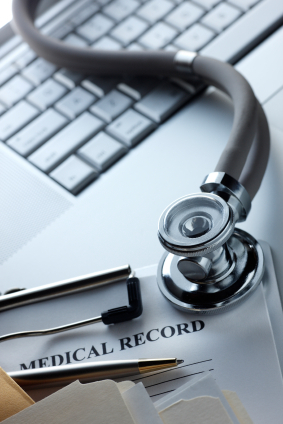 EMRs simplify the overall records management process. EMRs enable quick review of past history of a patient and aid in rapid diagnosis. They also enable doctors to collaborate and discuss a patient’s condition with colleagues or external specialists. In the next Volume we will take a deeper look at how EMR's can positively impact the speed of provision of care at Medical Practices and how this improves efficiency.